With AMAGNO, you can digitise your entire inbox and fully exploit the advantages of digital incoming mail processing. The traditional post is digitised, classified and distributed within the company immediately, without the need for it to be delivered by hand, to all locations or branches. 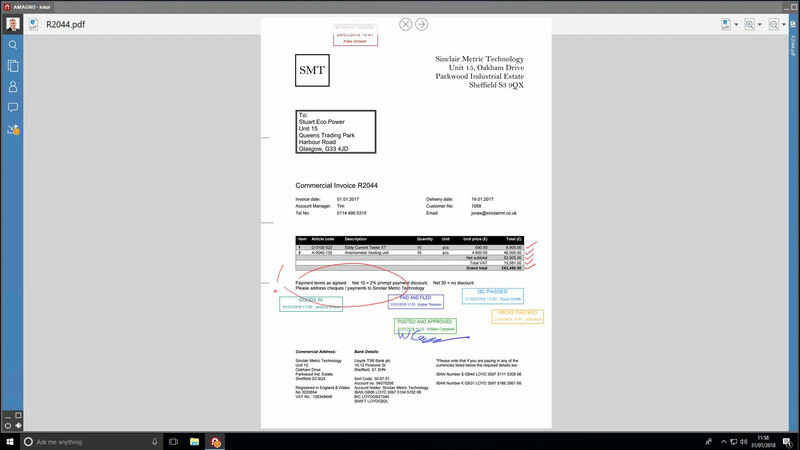 Incoming e-mails and any attached documents can also be processed in this way and transferred directly to workflows. Automatic version control management and archiving allow for traceability and as a legal backup in your business communication. AMAGNO’s document management software enables companies to import, distribute and process incoming e-mails, business documents and even traditional post into a digital inbox, or to transfer them directly into workflows. Transfer electronic invoices effortlessly to the relevant workflows, ensure complete real-time access for specialised departments or allow the HR department access to employee sick leave notes. Users don’t have to make big changes to adapt to digital incoming mail processing. The intuitive and uncluttered AMAGNO user interface allows users to quickly find their way around. With digital stamps and annotations, you can carry on using tools like before, only this time they are digital. This ensures a high level of acceptance among your employees. The digital inbox is not only an advantage when it comes to distributing traditional post to different locations or branches. More and more employees are also working from mobile locations, on-the-road or (at least partly) from a home-based office. With digital incoming mail processing, long wait times are a thing of the past and employees can access their digitised post at any time while on the move. Adapt workflows as and when you need to so you can deal with approvals or respond to comments at any time. Available not only on the AMAGNO client but also with any up to date browser on mobile devices. 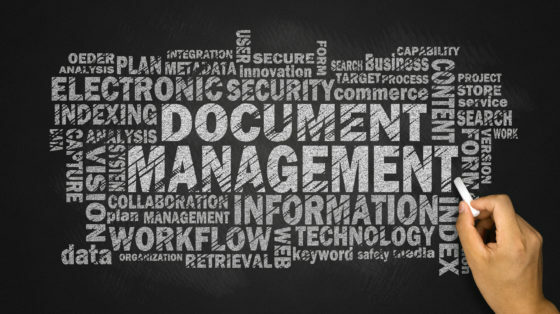 Let our webinar show you how easy document management can be. Sign up now for free! An important step towards digital inbox is also to ask your business partners not to send invoices, offers or payment receipts by traditional post. From a legal and organisational point of view, there is no longer any reason to do so. It is still unlikely, however, that companies will receive absolutely no traditional post in the near future. In order to digitise the incoming post, you can rely on tried and tested document scanners from various providers. 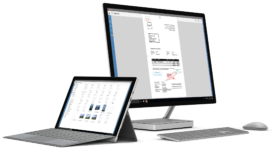 Powerful document scanners are available for a three-digit price and pay for themselves within the shortest possible time. As a rule, the document scanners are designed for 2500 – 5000 scans per day and can not only scan normal DIN A4 mail, but also scan thin paper documents or business cards. Our interfacing partner Dropscan offers the service of receiving, opening and scanning incoming mail. Your post is available in AMAGNO’s digital inbox within a very short time and you are free to process it. This scanning service is TÜV-certified and guarantees the highest level of data protection. As a rule, received letters are opened and scanned within 24 hours. After scanning, the mail can be safely destroyed. In order to achieve audit compliance, it is important to archive relevant business communications along with many other aspects. In addition to traditional post, this also includes attachments AND its respective e-mail. It is therefore not enough to simply keep the order confirmation, which is sent to the company as a PDF file, but the e-mail itself must also be archived. AMAGNO supports manual and automatic e-mail import. In this way, you can store not only digitised post or incoming faxes according to the legal regulations but also e-mails. The complete digitisation of your post means that it is not only much faster to process, but also always available. Thanks to OCR text recognition and classification, you can find the correspondence you are looking for at any time with AMAGNO’s powerful full-text search function with the document management system. This greatly increases your ability to provide information quickly and easily, even in the case of business correspondence that has been archived for very long periods of time. 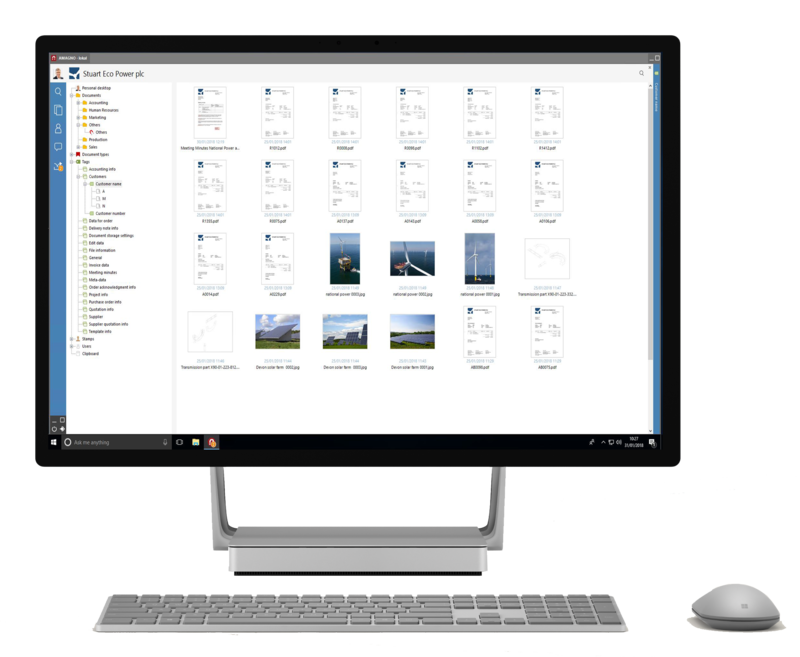 Search doesn’t just work for Office or PDF documents, but also for more than 100 file formats and also offers a comprehensive file preview. New technologies often fail due to a lack of acceptance by employees. Keep a wide overview of your needs and requirement specifications. Don’t stop there. Carry out regular success measurements. Check out the AMAGNO Blog for more detail on the five tips for SMEs.